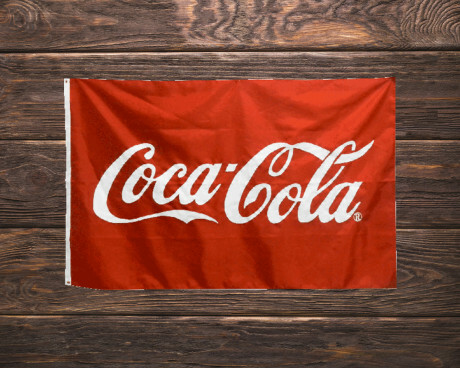 A custom flag or banner represents pride and brings communities and groups of people together. 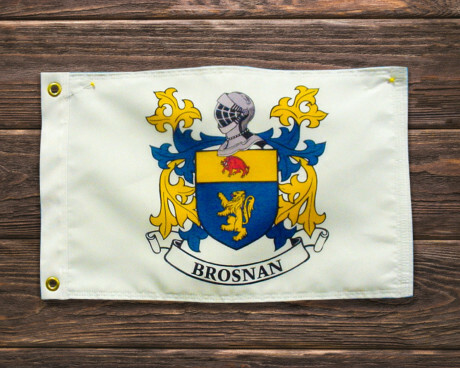 It could be a physical community like a town or village, a club, a school or even your family that is represented by your new custom flag. We're passionate about helping the communities around us show the world what they are proud of! 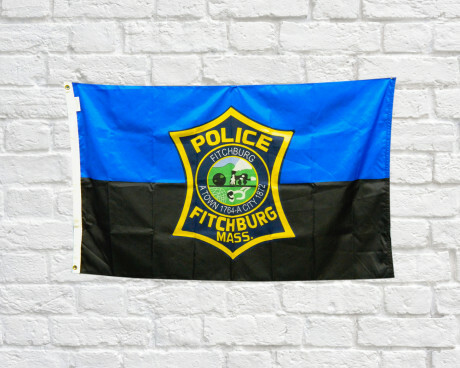 Our team has been creating custom flags and banners for organizations including businesses, families, towns, schools, clubs and more for years. 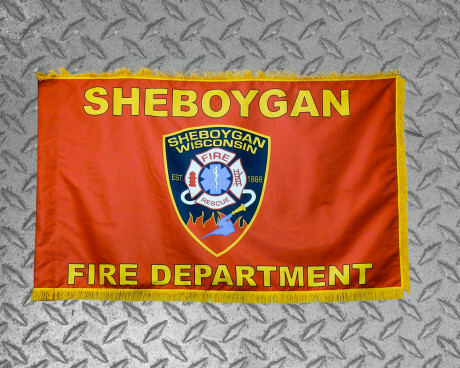 Police departments , fire companies and other emergency services have a special use for flags unique to their organizations. Flags, banners and sashes are used to show off their pride during parades, ceremonies, and at funerals. For professional and volunteer emergency providers, the flag is a symbol of all that they do to serve and protect their communities. Casket drapes and color guard flags are often an important part of a funeral during the final farewell to a beloved member of the service. Many departments display grave markers and stick flags at departed members graves each year to honor their service and sacrifice. 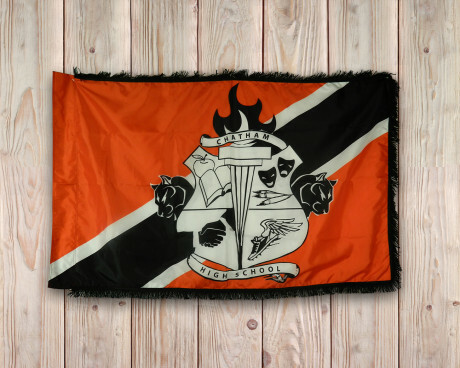 Interested in designing a custom flag for your civil service organization? 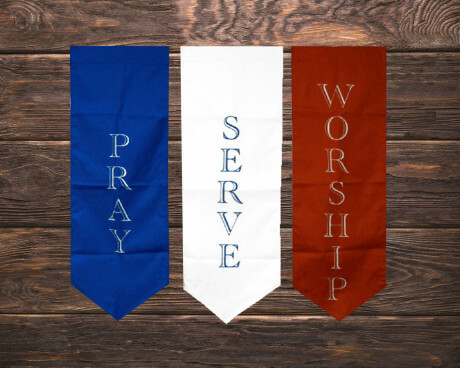 At Gettysburg Flag Works, we are experienced in creating custom flags and banners for civil service organizations, including fire departments and police departments. Give us a call at 1-888-697-3524 or submit a quote request to get the process started! School flags are a great way to show your school spirit! 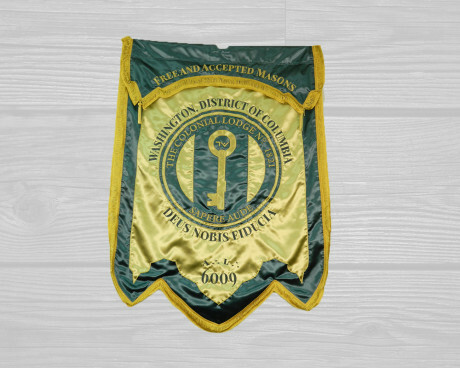 From traditional school flags to marching band banners, sorority and fraternity flags, championship banners, avenue banners and more, we know what it takes to help your school or academic organization look its best. 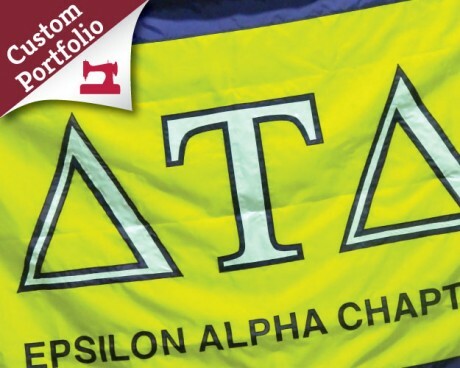 Browse some of our custom academic flags here. Interested in designing a custom flag for your school or academic institution? We'd be happy to help you with that! Just call us at 1-888-697-3524 or start the flag design process by submitting a custom quote request and we'll get started right away! 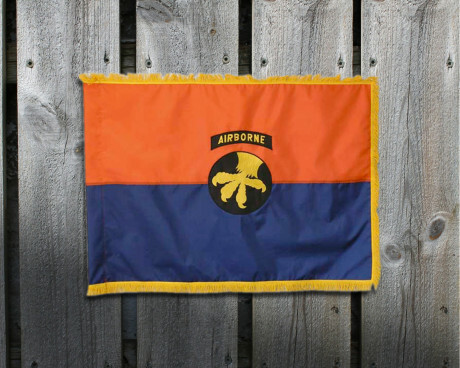 Custom military flags are a great way to represent your branch, regiment, brigade, unit, or to honor the military service of a family member. 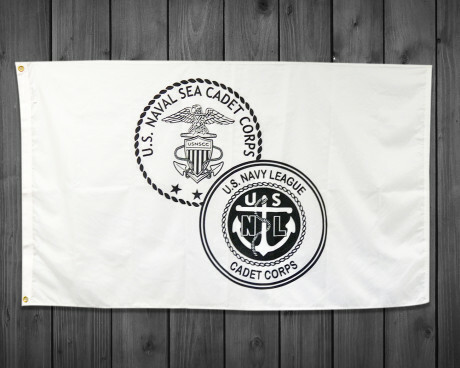 With our custom options, you can create an ROTC or military flag that's uniquely your own and completely personalized. Plus, when you order from us you know your flag will be made right here in the USA! Our customized military flags nicely complement traditional military flags and look great when flown along with an American flag! Contact us today to get to work on designing yours! For business, clubs and organizations, flags and banners can be more than just a display of shared pride. They can also be a way of advertising their services and recruiting new members. Whether you need an indoor wall banner for your conference room, a fringed flag for the president's office or feather flags to bring in customers, Gettysburg Flag Works is here to help. Custom avenue banners are also popular for advertising groups and organizations. 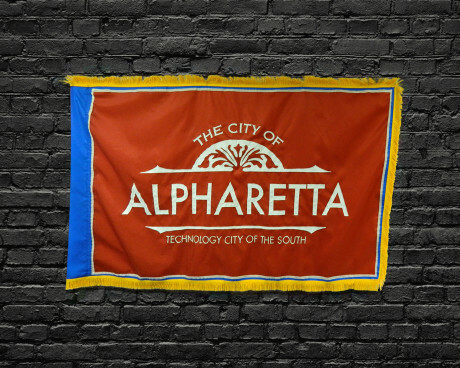 Sponsored banners can be displayed around town, along a driveway or in the parking lot for a long-term advertising presence. 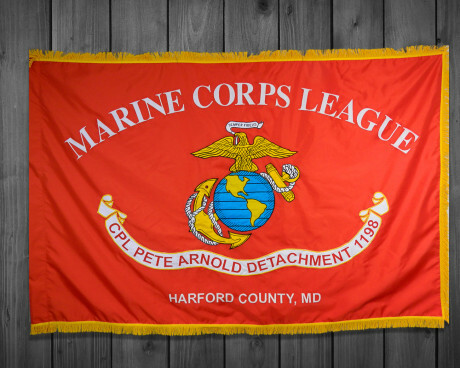 Get Started With Designing a Custom Flag For Your Organization Today! 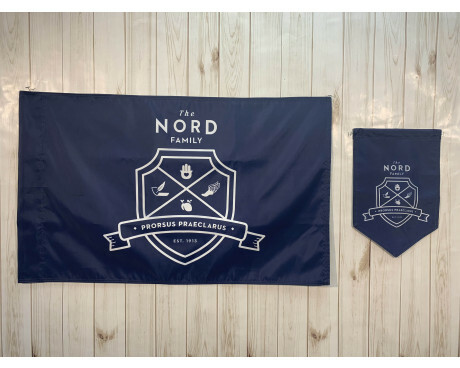 Think a custom organization flag is just what you need to showcase your group or recruit new members? You can start the process of designing a custom organization flag today, right here on our website! Simply submit a custom quote request to get the process started. Have questions along the way? Call us at 1-888-697-3524 and we can walk you through the steps. Having a hard time deciding what type of flag or banner will work best for you? We can help with that too! Please give us a call at 1-888-697-3524 or contact us online. Our expert sales staff will share their experience and help you design the perfect flag or banner to suit your needs.